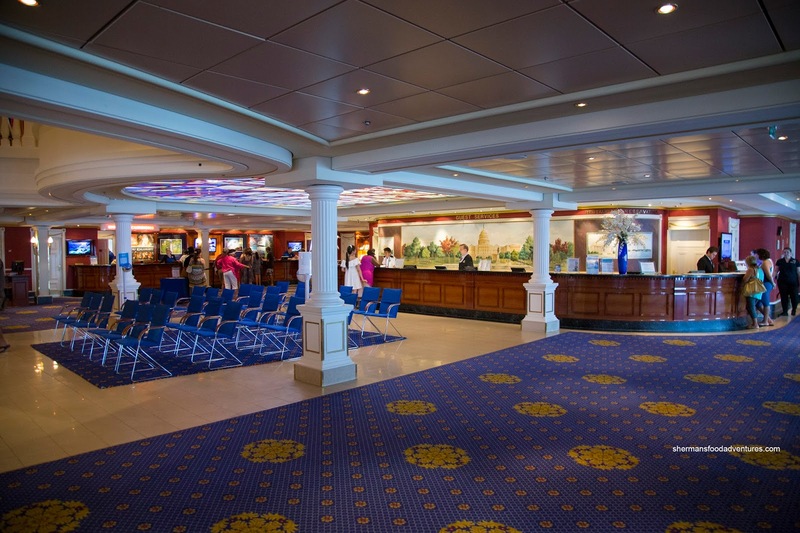 It has been 12 long years since we cruised with NCL. During that time, I’ve changed careers, had 2 kids, been through 3 cars and have started a blog. Ironically, this time around, it is the roughly the same cruise with a similar itinerary. 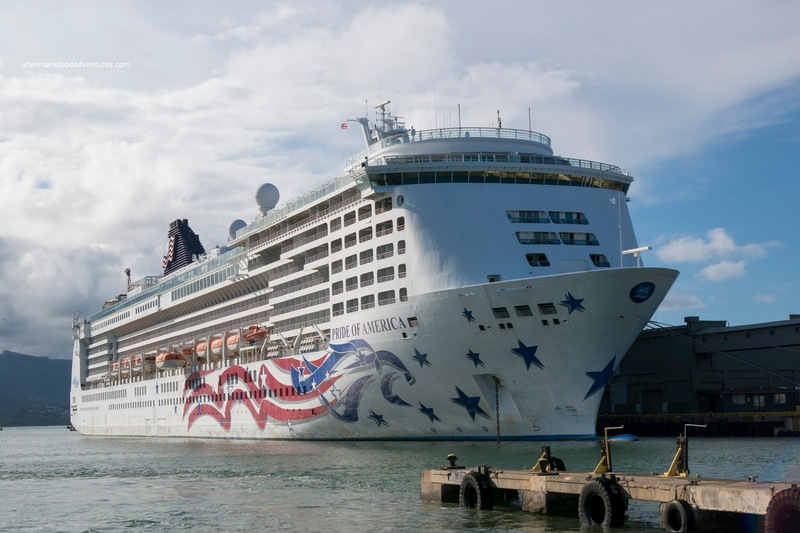 To be blunt, it has taken us until now to revisit NCL because of their cruise around the Hawaiian Islands, not because of the cruise line itself. Our first experience was less than memorable with below-average food and an overall lower class feel than our other cruises with Princess, RCCL, Celebrity and HAL. However, with essentially 2 days in Maui, Kauai and the Big Island, the cruise is the best way to get a taste of everything without taking 3 separate flights. Just like last time, we started things off with a few days in Honolulu doing the usual touristy things. On the day of the cruise, I drove the family (including the grandparents) up to the dock, dropped them off and returned the car at the nearby Enterprise. I walked 2 blocks back to the terminal and we were checked-in quickly and painlessly. We ended up boarding around 11:30am and decided to do lunch at the Skyline main dining room rather than the buffet. This was a bit different than many other cruise lines where only the buffet and small cafes would be open on embarkation day during lunch (more on that later). 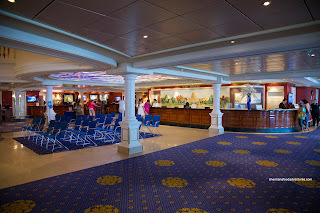 After that, we had over 3 hours to kill as our staterooms were not ready yet. This is not uncommon across all cruise lines as they have to disembark all the passengers and make all the rooms for the turnaround. However, this was the longest wait we’ve had to endure ever for our cabins. During this time, we checked out parts of the ship and it definitely made its allegiance abundantly clear – U.S.A, U.S.A, U.S.A!!! Completely patriotic in decor, color-theme and staff, one is surrounded by traditional icons of America. 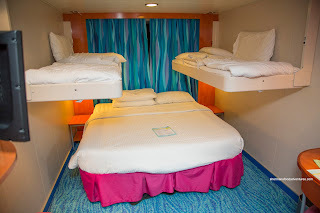 It could be a little over-the-top for some, but I didn’t mind it that much because the bright, almost 80’s neon colors of the Norwegian Star (the previous ship to do this itinerary) was less classy. The ship appeared to be in good shape other than a few worn areas due to heavy use. There has been much written about the attitude and resulting service from the all-American crew. In a nutshell, many have criticized it as being unfriendly and lackluster. I didn’t notice anything that would qualify as “unfriendly” but there were a few staff members that did appear disengaged. As a whole, we thought the staff were quite helpful and genuine. 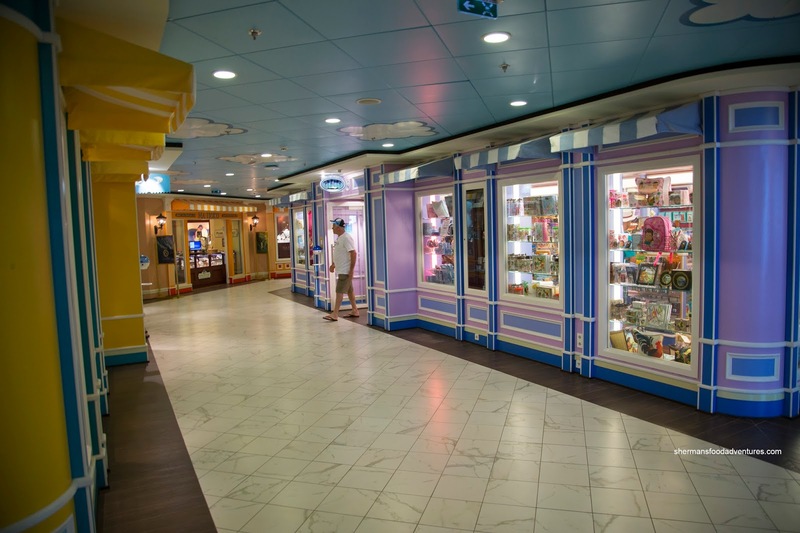 With that being said, the professionalism and attention to detail was lacking compared to other cruises we’ve been on. 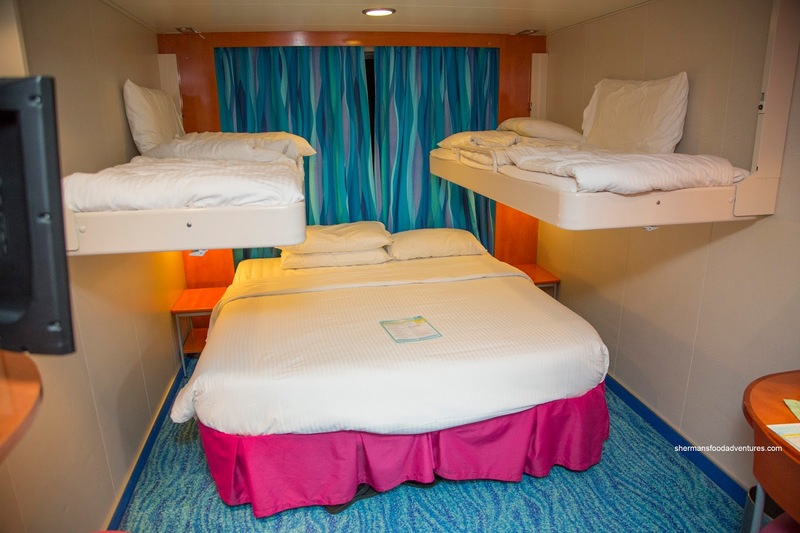 We ended up with an outside quad cabin on deck 4. Upon opening the heavy door, we noticed the absence of a table. That really didn’t bother us as that usually takes up precious room anyways. So with that out of the way, there was actually room to maneuver around despite housing 2 adults and 2 kiddies. The bed arrangement allowed for 2 upper fold downs on each side of the cabin. Yes, one must remember that in the middle of the night when they needed to get up. Also, the orientation of the lower bed made it impossible to store our large luggage underneath due to the support bars. We had to stuff in the closet. Even with that, there was more than enough storage space for all of our clothes, shoes and miscellaneous items. There was nothing fancy about our cabin, but it was functional and decorated with non-offensive colors. 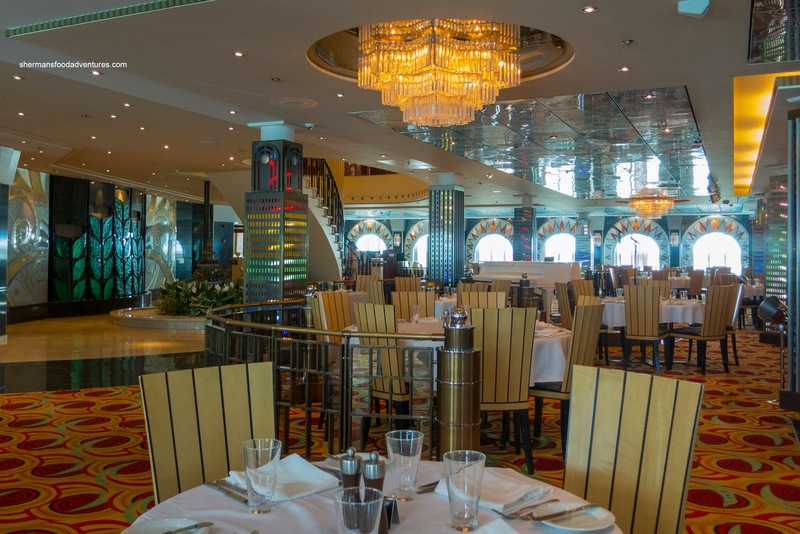 As I mentioned before, there is a perception (and rightfully so based on the past) that NCL’s dining is subpar compared to the rest of the industry. On the other hand, the one thing that they pioneered was Freestyle cruising where there is no fixed dining. 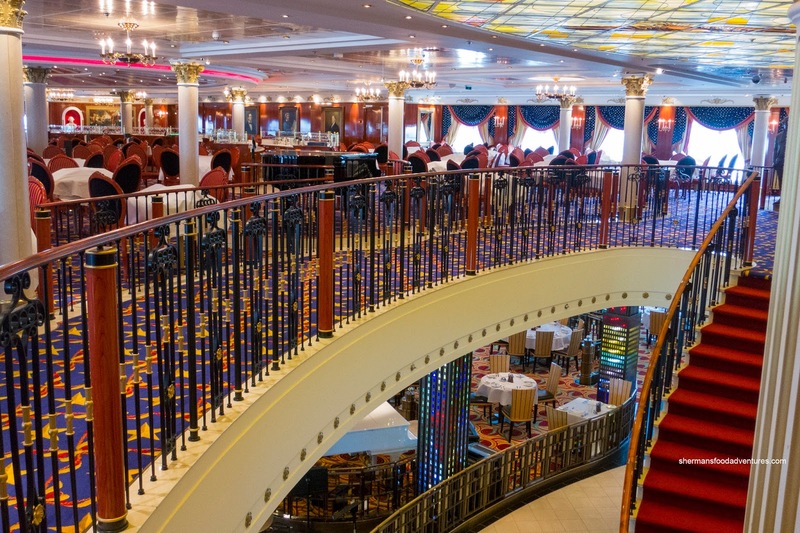 In fact, there are so many dining choices, it is difficult to visit all of them. 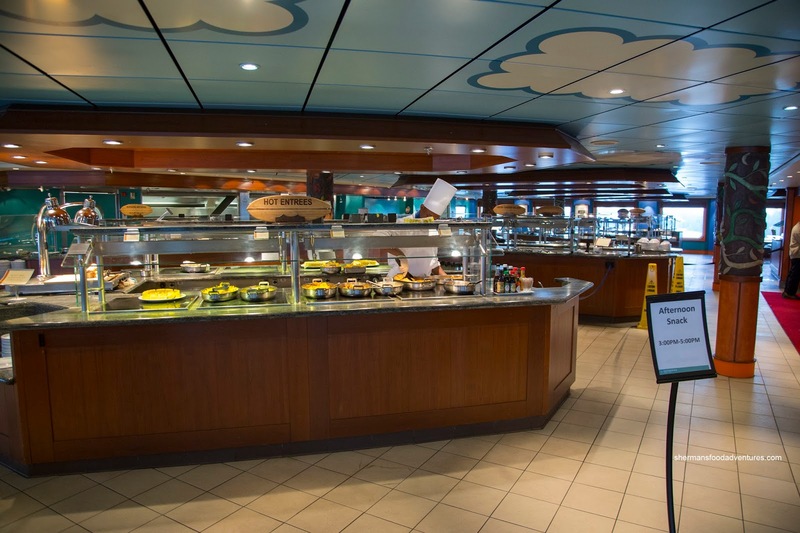 In addition to the 2 main dining rooms (Skyline and Liberty), the other no-fee restaurants are the Aloha Cafe (buffet), Cadillac Diner, East Meets West and Wipe Out Cafe. For a surcharge, one could dine at Jefferson’s Bistro (French), Teppenyaki, Cagney’s Steakhouse, Moderno Brazilian BBQ and La Cucina. We ended up getting the Ultimate Dining 3 restaurant package and selected Jefferson’s, Teppanyaki and Cagney’s. 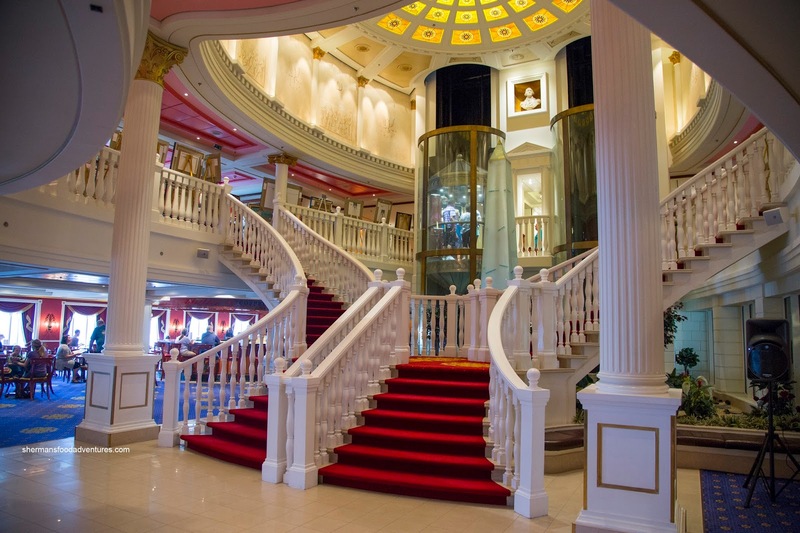 I was able to book our reservations online in advance of our cruise, but we ended up changing them on board the ship due to a surprise itinerary change. 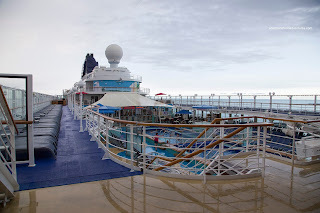 Yes, we were indeed surprised as they had to do our cruise in reverse order because of 2 nearby tropical storms. 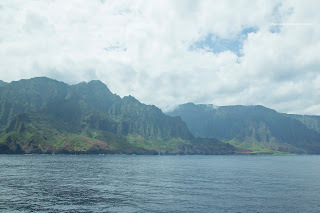 So instead of doing 2 days in Maui followed by 2 days on the Big Island then 2 in Kauai, we ended up with only one day in Kauai and finished up the cruise in Maui. Naturally, that sent people (including us) into panic mode trying to change our car reservations. Doing that last minute meant paying more for our car rentals. Not the cruise line’s fault since they cannot predict the weather, but it still was inconvenient and cost us more money. 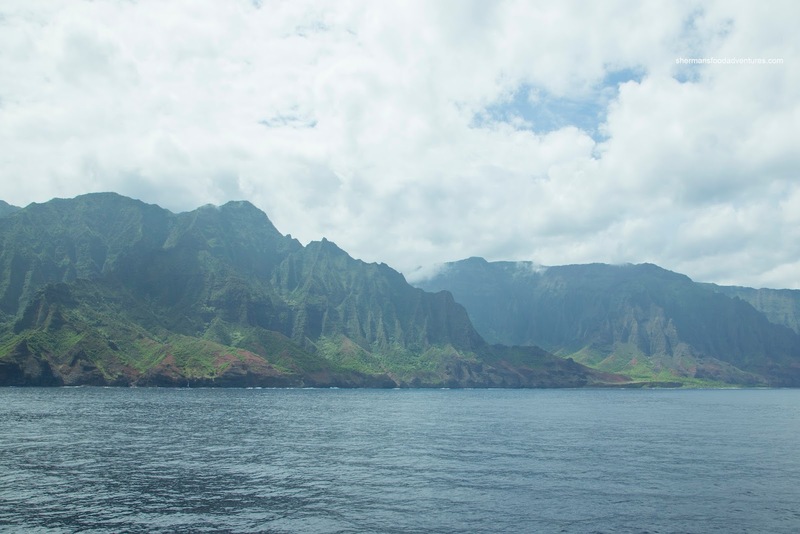 After a good night’s sleep on our firm beds in relatively calm seas (despite the storms around us), we cruised the Na Pali coast. This was actually a blessing in disguise as our 2nd day in Kauai would’ve only lasted until 2:00pm anyways. A day at sea meant rest and relaxation. 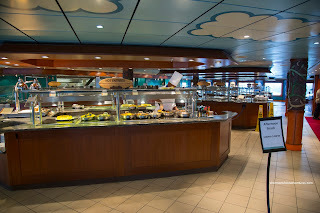 In the next few posts, I will review the dining aboard the Pride of America, but if I had to sum up our experience as a whole, the one word I would use is "pleasing". 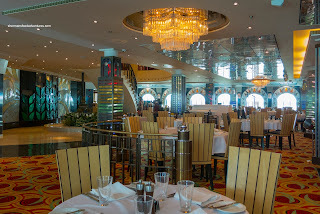 Yes, it was much better than expected (but we did have low expectations) where the food had improved and where the general organization of the cruise was pretty much spot on. 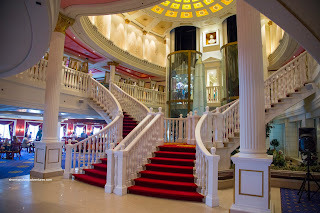 I went on a princess cruise a couple months ago and absolutely loved it! their pizza is so good.